David Armano - Monday, April 27, 2009: "The Future of Advertising. WTF?" UPDATE: What a great crowd last night! We had around 200 show up. The video of David's presentation is embedded at the end of this post. David Armano, newly Senior Partner at Dachis Corp (previously VP Experience Design at Critical Mass), and blogger at Logic+Emotion, will be joining us Monday, April 27 from 6:00 p.m. to 8:00 p.m. (doors open at 5:00 p.m.) at the Fine Line Music Cafe in Minneapolis. The event is free. No RSVP required. 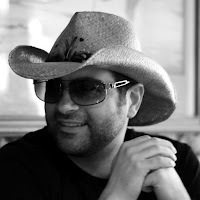 David graduated from the Pratt Institute, studying computer graphics and visual communication, before starting a 14-year career in digital marketing and experience design. He's held creative and strategic leadership roles at Digitas and Agency.com, as well as Critical Mass, working for clients such as HP, Allstate, Fifth Third Bank, Miller Brewing, Grainger and Bally Total Fitness. David's work blends strategy with design to look for new opportunities around the evolving Web (otherwise known as Web 2.0) to enhance customer experiences and bring brands and people closer together. David's presentation: "The Future of Advertising. WTF?" will draw from his experience working with major brands in the digital space, connecting and mashing up advertising as PR, enhancing service design and integrating product innovation. He'll speak to the relevance of micro-interactions and macro word-of-mouth; the future of work—from silos and assembly lines to networks and signals—and the effects these forces are having on the (currently) fuzzy agency model. As always, David will discuss the power of value, utility and a good story, regardless of where it's communicated. This promises to be yet another engaging event. Carve the date into your iPhone. Don't miss it.